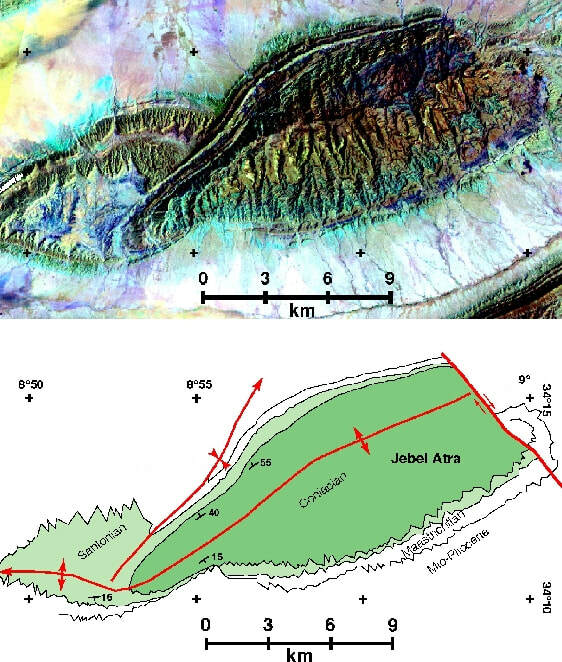 Topographic map of the Atlas Mountains of North Africa (top) and the Bouguer gravity of the Atlas (bottom). 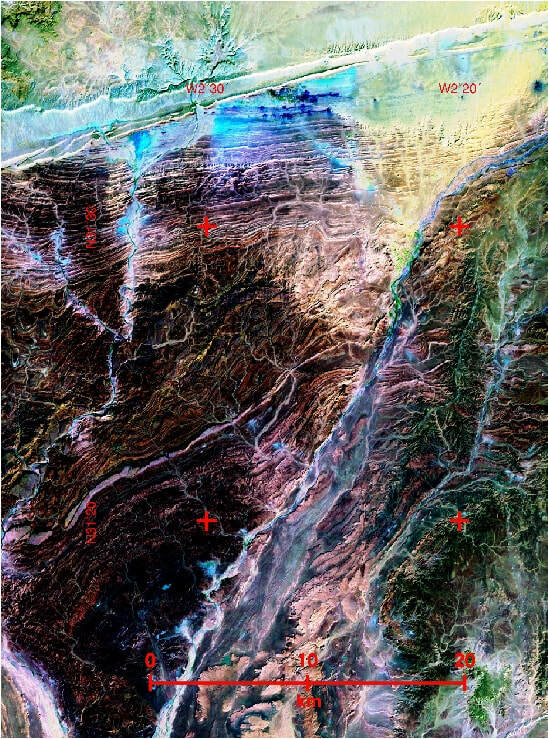 The gravity lows are coincident with the thicker sediments deposited in the original Atlas rift basin. The Eastern High Atlas Mountains of Morocco with the Missour Basin to the north and the Sahara to the south. Bounded by the Middle Atlas mountains in the NW corner. Jebel Mechkakour North of the High Atlas Mountains forms the eastern margin of the Missour Basin, Eastern Morocco. Both this structure and the anticline to the east are formed by salt movement. 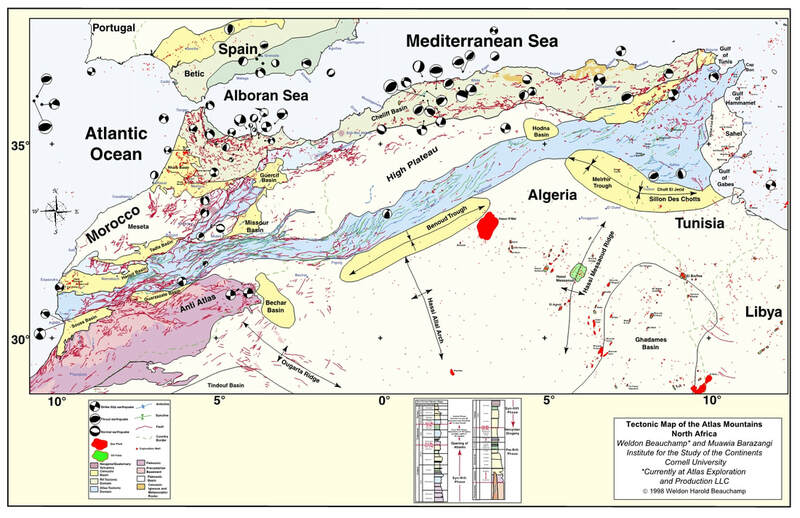 Large scale fault related folding in the Saharan Atlas of Algeria. These folds are formed by the reactivation of earlier rift related faults. The en echelon pattern is inherited from oblique extentional deformation during rifting. Fault related folds formed from the inversion of previously existing rift faults. En Echelon folding and right lateral strike slip deformation. Tunisian Atlas. Jebel Atra in the Gafsa region north of the great salt lake of Chott El Jerif. This anticlinal structure is asymmetrical and is verging to the north. The fold has been refolded along its northern limb, and the structure has been cut by a right-lateral strike slip fault.